Scottish artisan cheese company Errington Cheese faces ’complete closure’ following a ban on sales after being linked to an E.coli outbreak. A three-year-old girl died following the outbreak of E.coli O157 which affected 22 people. 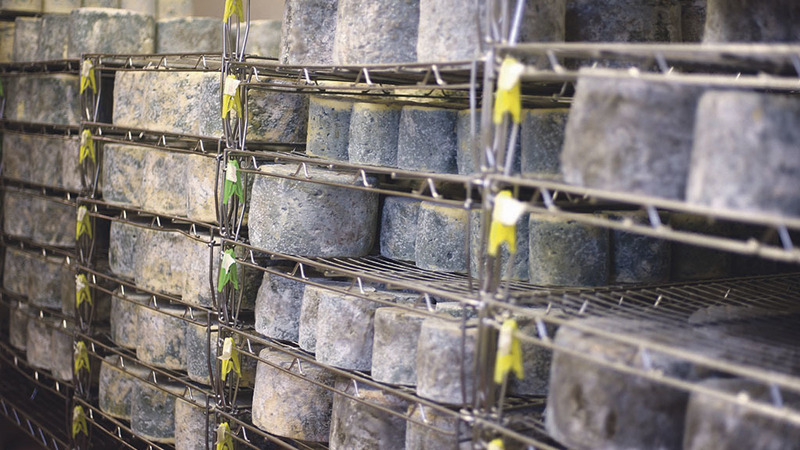 In September, Food Standards Scotland (FSS) said 15 people had eaten Dunsyre Blue prior to becoming ill. Four more had eaten blue cheese but did not know which brand. The company said it was seeking a Judicial Review for the evidence to be made public and open to scrutiny. Company founder Humphrey Errington said: "Our products are being linked to this outbreak by FSS but it has so far failed to provide us with any evidence to support this." However, FSS said all results from its samples had been shared with Errington Cheese. The company said it was forced to lay off all 12 of its staff, adding £350,000 worth of cheese may have to be destroyed if sales were delayed. Mr Errington said FSS has now withdrawn the order to destroy existing stocks which he believes is ‘tantamount to an admission’ it has made a mistake. "We have carried out our own tests using leading laboratories in the UK and Europe and found no trace of E.coli O157,” he said. "FSS say it could take six months to finalise its report but by that time our cheese will have to be destroyed and our business will be finished." In a statement FSS said samples taken by South Lanarkshire Council (SLC) from different batches of cheese had tested positive for E.coli O157 and ’another strain of toxin-producing E.coli’. "The Food Examiner was of the opinion the presence of these organisms in food was unsatisfactory and potentially injurious to health and/or unfit for human consumption. "In addition, the Scottish E.coli O157/VTEC reference laboratory confirmed these types of organisms had been implicated in serious human illness in Scotland." Mr Errington believes FSS has also taken a position against the production of unpasteurised milk cheese. He added: "This puts the reputation and future of the whole British artisan cheese industry under threat."